Earl “Nickey” Picard was born on October 10, 1931 in Lafayette Parish to Henry Avery Picard of Vermilion Parish and Levee Marie Durio of St. Martin Parish, on October 10, 1931. "Nickey" married the former Cecille Jeanette Dupuis on April 3, 1949. Picard, a life-long resident of Lafayette, joined the Louisiana National Guard where he was only 16 years old and retired at the rank of Command Sergeant Major in 1990. His law enforcement career dates back to 1953 when he joined the Louisiana State Police as a Trooper later attaining the rank of Sergeant. He served as Chief Investigator for the Lafayette Parish Sheriff's Office, was the first Coordinator-Investigator for the Office of the District Attorney, served as the Lafayette Juvenile Detention Home Administrator and was the first Lafayette City Court Administrator. On June 1, 1984, Picard was appointed by the Lafayette Parish Council to the office of City Marshal. He is the first City Marshal to be elected to 5 consecutive terms in office and began his fifth term on January 1, 2009. 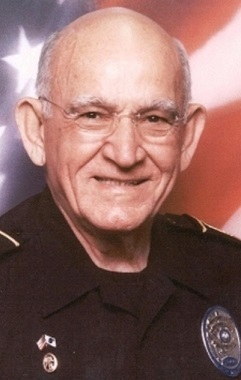 Picard graduated from the Louisiana State Police Training Academy,; Louisiana State University In-Service Police Training Program; Southern Police Institute-University and Federal Bureau of Narcotics-Washington, D. C. He took specialized courses at University of Houston, Penn State University, the National Center for State Courts and attended. Conferences on Narcotics, Juvenile Offenses and International Symposium on Drunk Driving and at University of Louisiana at Lafayette. He has served as an instructor in the LSU In-Service Police Training Program, Acadiana Law Enforcement Training Academy (ALETA) and Area Reserve Police Training Academies. Picard’s awards include Lafayette Area "Lawman of the Year" in 1970, Kiwanis International "Lawman of The Year" for Louisiana-Mississippi and West Tennessee, "Founders Award” Acadiana Law Enforcement Training Academy, United States Army Commendation Medal, United States Army Achievement Medal; Louisiana Commendation Medal and Louisiana "Senior Non-Commissioned Officer of the Year" award. He has served as President of Louisiana City Marshals and the Louisiana National Guard Enlisted Association. In 2005, Picard was inducted into the first class of the Louisiana Justice Hall of Fame. In 2007, the Lafayette City Marshal's Office received the "Recognition Award" from the Commission on Accreditation for Law Enforcement Agencies (CALEA), the only agency of its type in the nation to receive this award. Picard learned to speak French from his parents and grandparents and studied French in school. He has been a life-long supporter of the French culture in general and CODOFIL in particular.